Easter is the most important day on the church calendar. Not only is it the day Jesus won the victory over death; it’s the day more people become Christians than any other day. 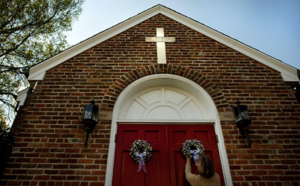 How would these fourteen tactics help you attract your community on Easter? We start by developing the series we want to launch on Easter. For years, I preached a resurrection message and invited people to return for a new series the following week. But CEO’s (Christmas and Easter Only) rarely come to church thinking they’ll return anytime soon, so we want to double their incentive by giving them the first helping of what they’ll receive if they come back. Yes, I’ll explain the resurrection. Yes, I’ll invite people to receive Christ that day. The series may tie in to current events, like a new movie or technology. Or we may go with core needs like purpose in life, relationships, or money. Our best gift to our neighbors is prayer. Starting seven weeks before Easter, I’ll ask our people to fill out Prayer Cards with the names of seven friends they’ll pray for and invite to Easter. I’ll ask all New Songers to fill out two cards: one to keep, and one to turn in, so we can pray with them for their friends. Nothing tills the soil of a human heart like prayer. During the weeks leading up to Easter, we turn our Prayer Room into a war room. Every card that’s turned in will be posted in the Prayer Room. We’ll feature twelve stations and ask people to fill up all twenty-four hours, praying for our community, praying for people’s friends by name, praying for our ministry teams, and other personal and corporate needs. Our Prayer Room serves double duty for us. It lifts our community to the Lord, and it teaches newer believers that it really is possible to pray for an hour at a time and not get bored. Once we’ve begun praying, we want to pile on the love by serving our community in practical ways. Two weeks after we issue Prayer Cards, we put “RAK” (Random Act of Kindness) Cards in our programs, with a list of 150 suggestions of ways you can show tangible love to your neighbors. One of our suggestions is “Pay for the coffee of the person in line behind you.” One year a New Songer did this, handing a RAK card to a Starbucks attendant. He ask her to give the card to the driver of the car behind him. As he was pulling away, a friend called and asked him to get her a coffee, so he pulled back into line. When he got to the attendant, he was handed his same RAK card. It had traveled through seven cars, each one paying for the person behind them. Jesus was right: give and it will come back to you! Once we’ve begun tilling the soil of our community with prayers and acts of service, we’ll start inviting people. A personal invitation is always best, so we print business card sized invitations with the times of our Easter services on it. We also make doorhanger invitations available for those who are willing to walk and pray through their neighborhoods. The doorhanger also serves as a coupon for the gift book (see #11). I used to hate bumper stickers. Not anymore. A few years ago we bought a batch of yard signs that read “Easter at New Song,” with our phone number on them. They look like realtor’s signs. I ask people to put one in their yard and return it the week after Easter. Every year we get calls about the price of the house on such and such street. We turn those calls into a personal invitation to church. Easter is such a strategic opportunity that we don’t want to miss anyone. Some people will go out of town for the weekend. We offer a Wednesday night Easter service to catch them beforehand. People invite friends from work and some of them receive Christ. Even if the crowd is small, it’s worth it. To take full advantage of this once-a-year opportunity, we ask everyone to attend more than one service. “This is the most important weekend on God’s calendar, so it ought to be the most important weekend on ours. Bring friends to at least one service, and serve during at least one service,” we say. Some people attend four or five. Lots of unchurched people think of the church as stingy and irrelevant. I want to break that perception, so every week we give first-time guests a free book. In the past we’ve given gift editions of a book I wrote a few years ago called The God Questions. 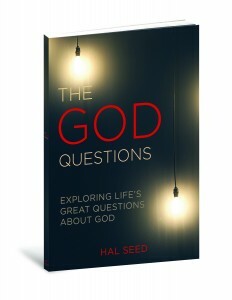 It’s a great book for anyone who has questions about God. Giving the free gift not only exceeds people’s expectations, it enables us to gather contact information so we can thank them for coming and invite them back. In a church our size, it’s easy for guests to feel lost in the crowd. On the day after Easter, I’m going to email them all, asking if there is anything we can pray for. I want guests to know that the church is more than a building they can come to, it’s a family they can belong to. Every guest who responds will be prayed for by our staff on Tuesday morning. As the emails go out, I’ll also be hand-writing notes. I want every guest to know that the church is about relationships, not just programs, and that their pastor took time to write them personally. By the time I’m through, my hand will be cramped, and I’ll wonder if it was worth it. The note will give me a chance to minister personally. While I’m writing, I will pray for each guest by name. What is your plan for making the most of Easter this year? Which of these ideas will work for you? Hal, These are all really great ideas. I just came to an older church that’s wanting to be used by God in the community and we are focusing hard on Easter. We will be using a couple of these at least. (would love to have Bethany Hamilton visit). Thanks for sharing all this good stuff. I am planning activities church activities for Easter and I was stumped. Your ideas are an incredible help. I won’t use all of them, but they surely gave me inspiration. I am also reminded that prayer is the key. You’re welcome Shernett. Please let us know how it goes.